I love ball gowns but I don’t get invited to a lot of formal occasions to have a reason to wear one. 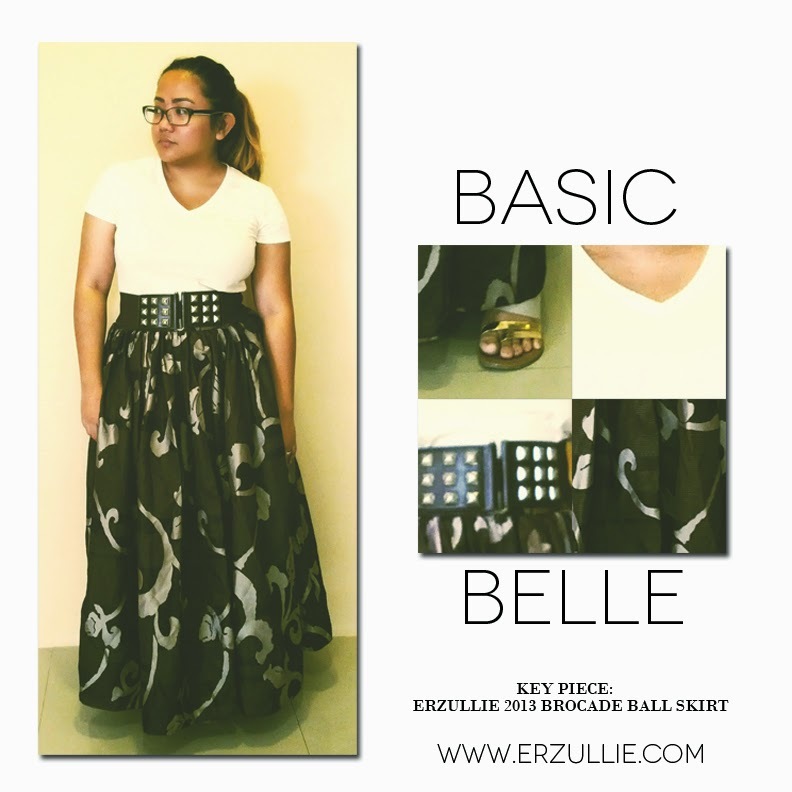 So I know this is just me wanting to achieve a dream and meet it half way with reality --- I wore my Erzullie 2013 Brocade Ball Skirt with a basic V-Neck shirt. I then tied it up with a gladiator belt and went light with the strap shoes. This is actually the outfit that I wore when I went to Trendsetter’s Bazaar and let me tell you ladies, to those who were not able to go --- I loved it! The best high-end indie brands were there to satisfy your summer needs. I love the whole vibe of the shopping event and to be honest, looking forward to its growth. But before we go way, away to the actual point of the article, what’s the plus size style lesson in this ensemble? Well, the balance of volumes. Wear something fitted when you are wearing something puffy or baggy, this way you won’t look as dowdy. Also, it’s a great way to use your ball skirts from prom, bridesmaids outfits etc. Wear a basic shirt and allow the skirt to shine through. It is a great way to make a statement. Time to warm up your shopping motors, Erzulliestas! 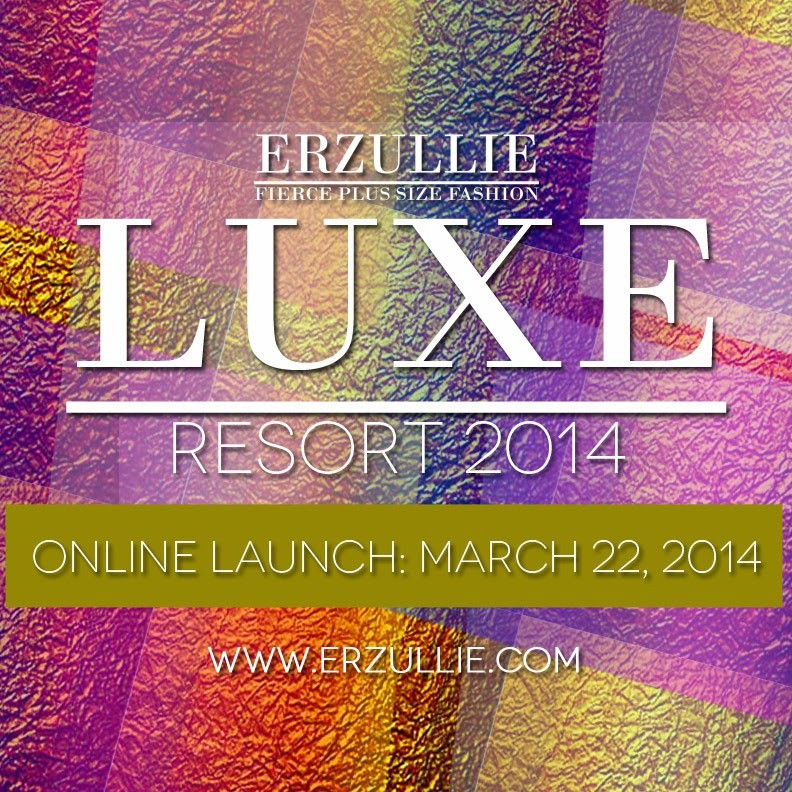 The full Erzullie Resort 2014 collection is about to be released online on March 22, 2014, Saturday. So make sure to check out www.erzullie.com during that date and shop before it’s all gone! We are also organizing a shopping social for that so stay tuned. To add, as you can see, there is a sudden and subtle change in the theme of it all. Doesn't this remind you of a rainbow unicorn? Erzullliestas! 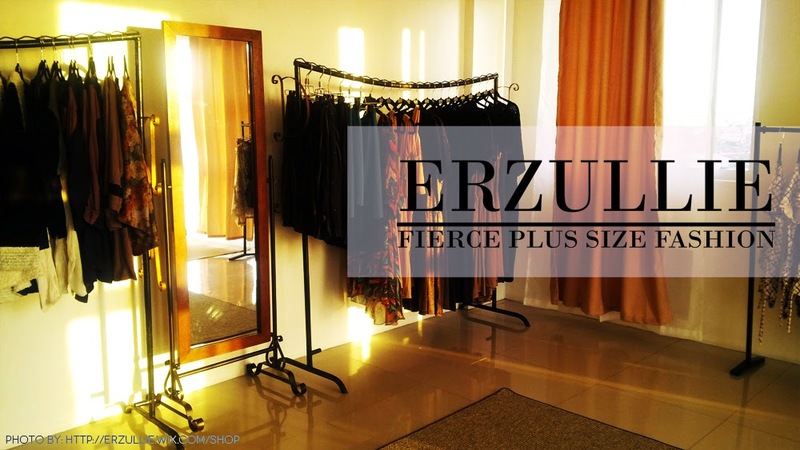 The Erzullie Showroom is finally open to the public for appointments! Shop for your fierce plus size fashion with the help of professional personal shoppers!